bc Before the Internet and CB&M came Metaluna, Golden Years, BMCA, Serious Police Work and numerous 'specials'. NOTE All of these privately published, non-profit fan publications were photocopied from either dot matrix or daisywheel-printed originals. Quality is NOT comparable to present day fan publications. Metaluna, aproximately 45 issues between 1984 -1997. 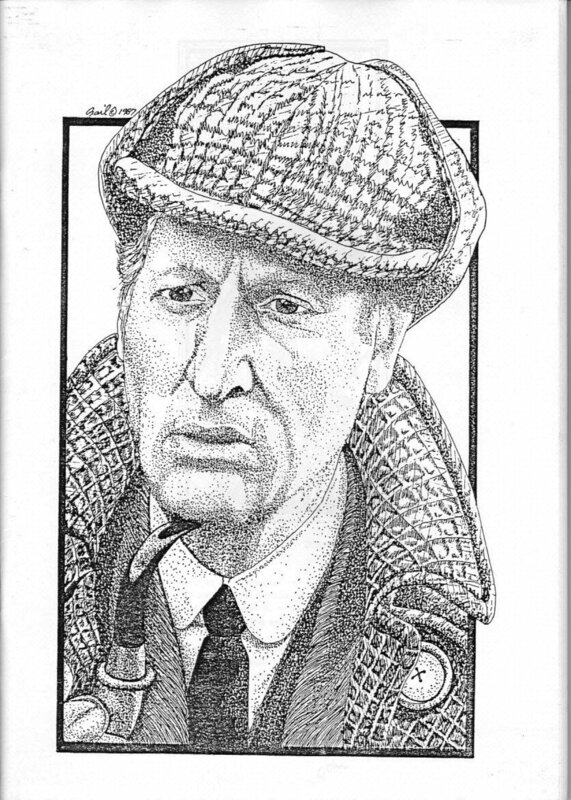 SF movies and television, original art, repro articles, original fiction, news, loc column. 24 to 48pp, A4 and A5. Print runs varied from 200 (early) to 20. Rick Kennett articles on David Carroll's Tabula Rasa site. 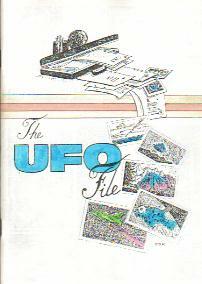 The UFO File, one-off A-Z guide to the British SF series, complied by the late Cathy Lynn Goodwin. 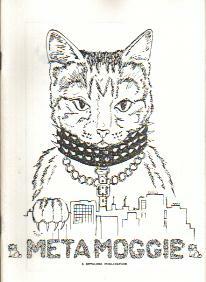 Metamoggie, one-off Metaluna special on cats. Original art, fiction, poetry and haiku. 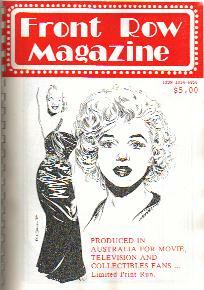 Cover by Y S Hintz, layout by Helen Small. Contributors: Helen Sargeant, V J Wurth, Y S Hintz, Edwina Harvey, Glen Chapman, Felix Sylvestris, James Allen and the late Ian Gunn. 1990, 36pp, A5. Limited, numbered edition of 20. 1999, 92pp, A4, print run of over 200. 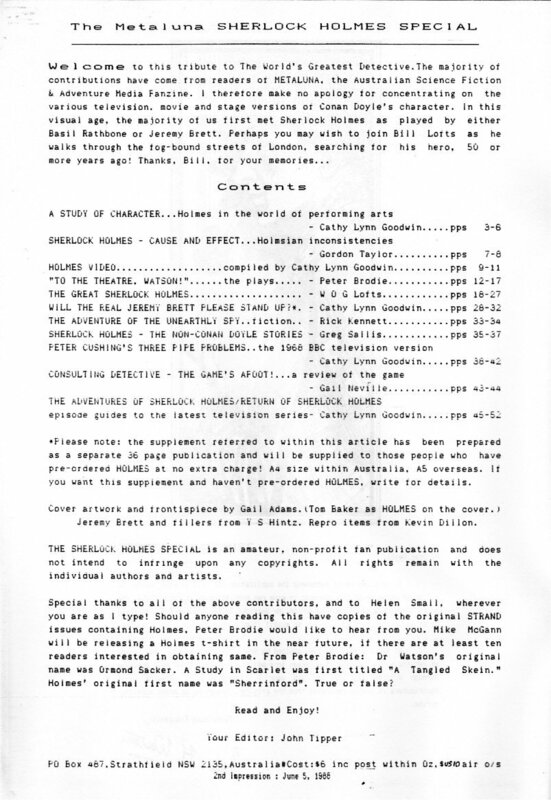 A later version was printed in A3 format. SPWNL had been published since 1994, the next issue (still unfinished, #33 went out for Christmas, 2002) being the 34th issue. 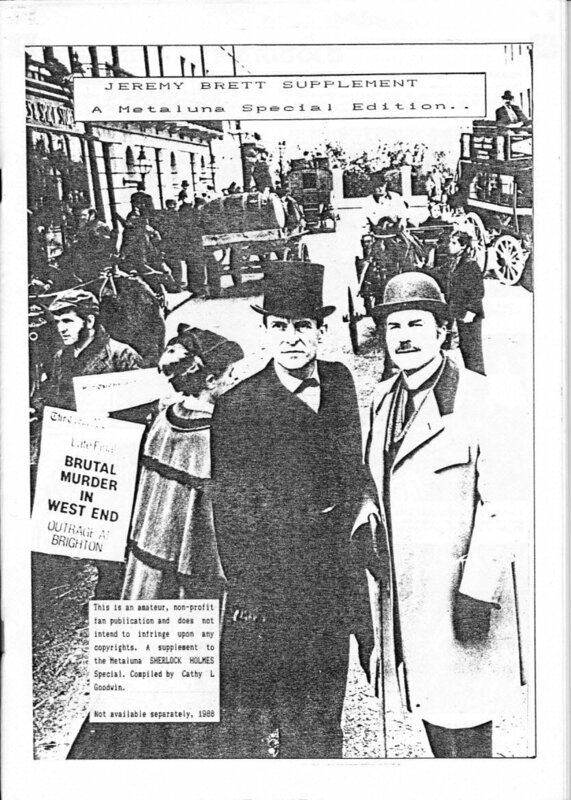 Before the newsletter, I published a regular fanzine, SPW, the first issue appearing in 1992 and the last and 12th issue, in 1996. Issues averaged from 24 to 48 pages. These contained articles on the characters, news clippings, fanfic and letters from fans. More than 1200 copies of the first issue were sent out, due mainly to an article in Sydney's Herald newspaper in February, 1993. More than a thousand letters were received from readers wanting copies over a three-month period. The work load became too much so I discontinued the fanzine, despite offers to turn it into a professional publication. Web sites have now made such publications redundant. The hard copy version of SPW newsletter has been put on hold for now. One issue, my [expensive!] attempt at a prozine. If you want to discuss this page, I suggest you contact me on Facebook. 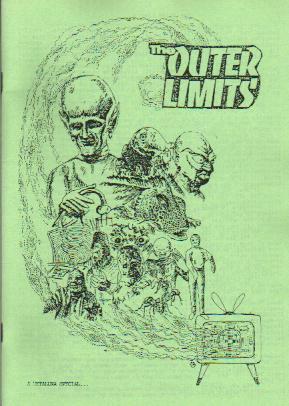 Preserving Australia's SF Fanzines and Related Ephemera.